Often named Oslo, but it is not! Materials: Black painted aluminium lampshade, white painted inside. 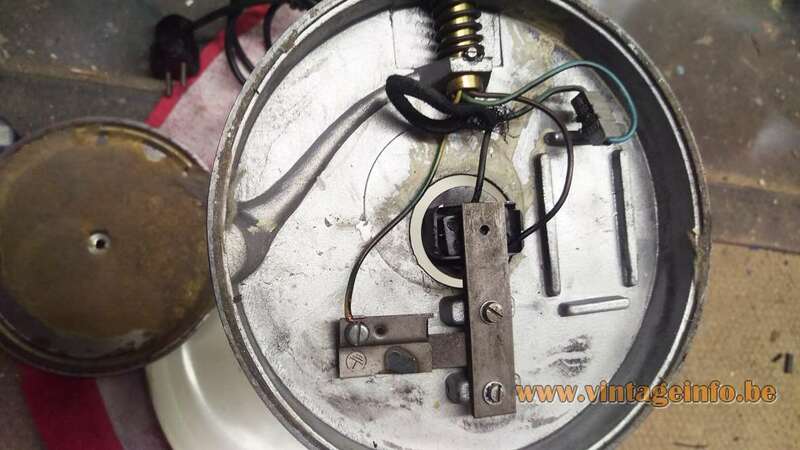 Polished brass, iron parts. 2 silver painted Bakelite sockets. Designer: Dr. Heinz Georg Pfaender (1928-2015) – attributed. 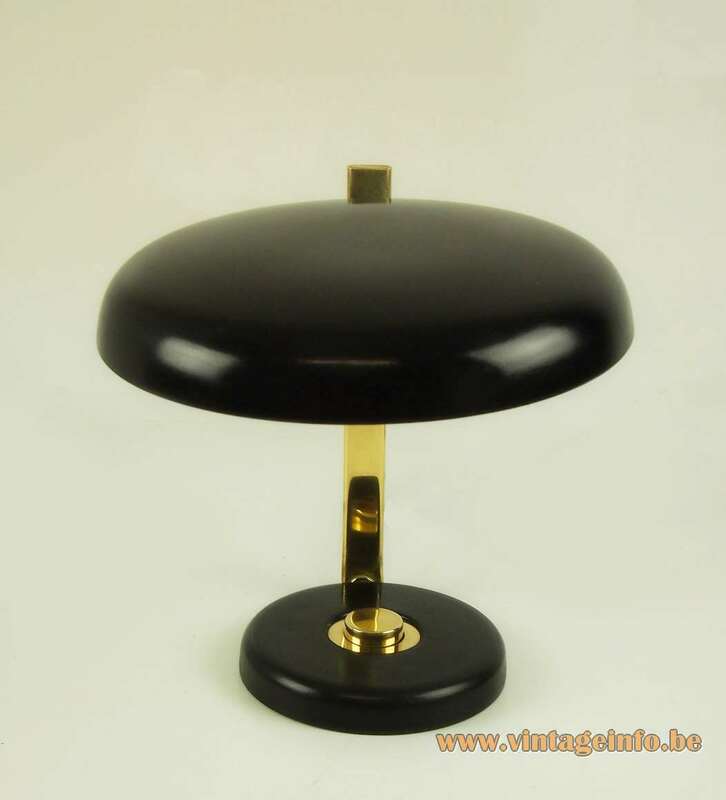 Other versions: Made in several colours and also produced with chromed brass parts. This lamp is often named Oslo. 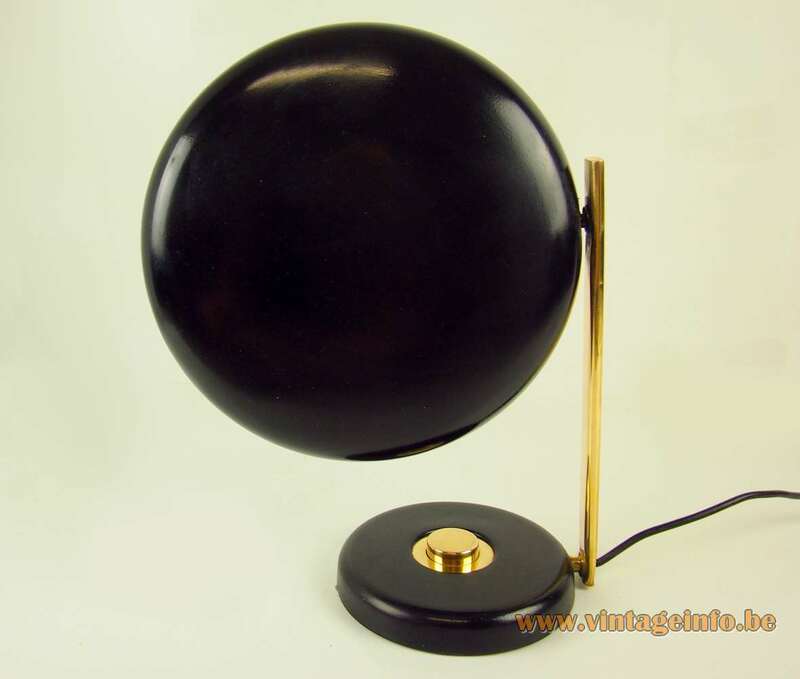 But the Oslo lamp designed by Dr. Heinz Pfaender is different, but in the same style. 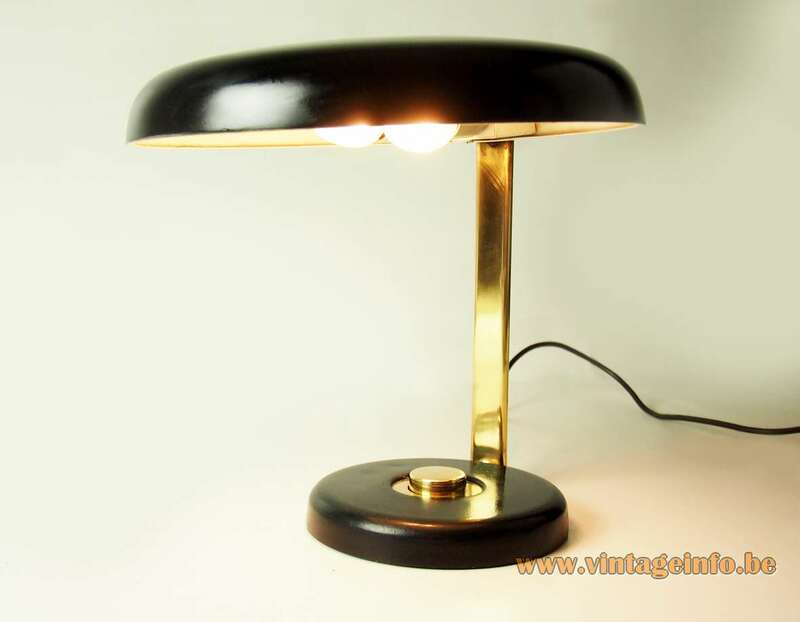 The Oslo lamp was designed in 1961. It won an iF Design Award in 1962. 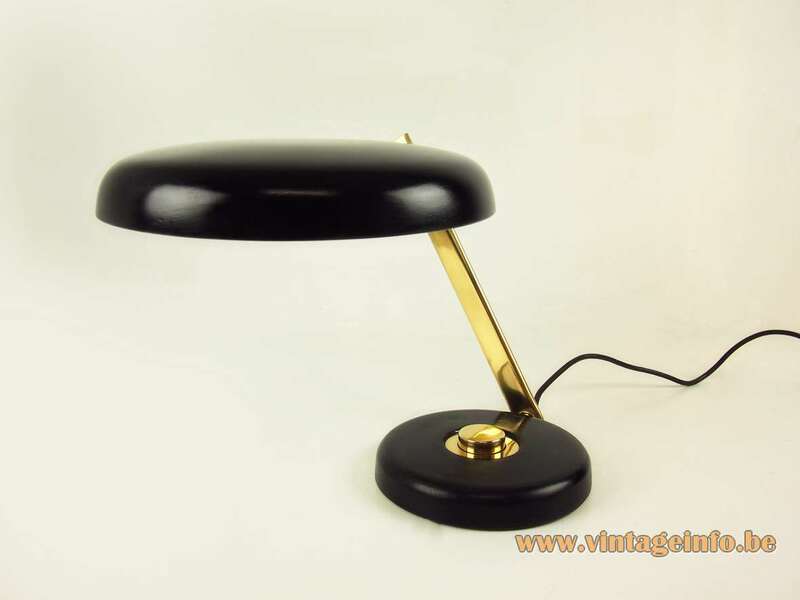 Probably this desk lamp was also designed by Dr. Pfaender because it is comparable in design. This one is model nr. 7004-221. Other lamps of Hillebrand have the same model number, how strange it can be. Several other lamps on the internet such as this one have the label 7004-221.